See our process in action! We provide the most comprehensive selection of decorative and functional concrete coatings in the area for both residential and commercial spaces. Our team has decades of experience in the application of specialized concrete finishes, and our preparation is the most thorough in the industry. Rest assured that your chosen finish will be of the highest quality and is sure to last. We go the extra mile to take the hassle out of your project by providing you the FREE use of our trailer to move your items into while we complete your concrete coatings application. 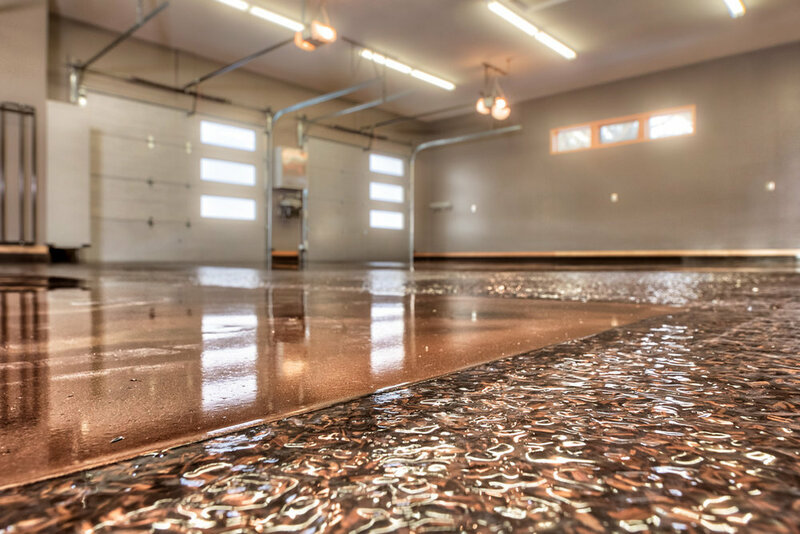 Contact us today to start the process and transform your concrete floors. Looking for some inspiration? Check out our collection of concrete coatings projects.